Fancy calming your mind, healing your internal organs, channeling chi into your bones and building an immortal energy body, by using nothing more than your attention and a basic skill you were born with? These are but a few of the numerous holistic health benefits available to us all. A dear friend of mine’s Grandmother was fond of saying “ten deep breaths will cure anything”. It is only much later in life that I began to understand the profundity of these carefully chosen words. Of all the processes we entertain in our busy lives, our breath seldom garners the attention it deserves. To some extent, we may be forgiven for taking this vital life-supporting process for granted. The very fact that it carries on, without too much effort on our part, may be precisely the reason its healing potential remains largely concealed. Fortunately, the subtle connection between our awareness and breath has been understood, and shared, by the masters of many martial and spiritual traditions throughout time. 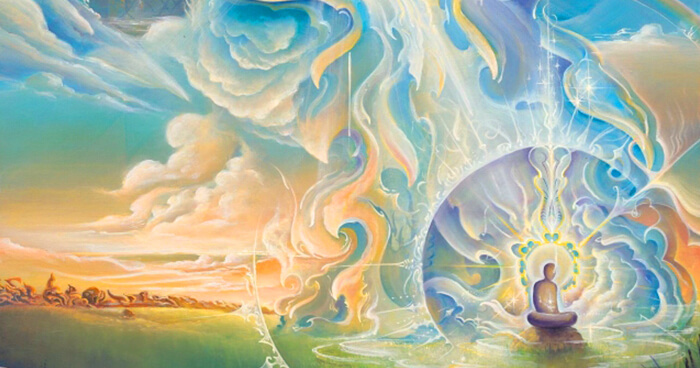 There is also a common understanding and acceptance among these ancient traditions that we exist in, and are connected to, an all-encompassing energy field. This life force wears many labels. In the Taoist traditions of the East, it is known as ‘Qi’ or ‘Chi’. In Japan, it takes the name ‘Ki’. In Indic yoga traditions it is called ‘Prana’ and in Hawaii, it is ‘Mana’. Irrespective of which tradition you follow, when it comes to increasing this life force within, the practice of bringing focused awareness to your breath is common to all. We exist in an all encompassing energy field. Qigong masters have long known that this life force flows at five different levels; the skin, the flesh, the meridians, the organs, and the bones. Taoists understood the concept of the skeleton as a dynamic energy structure that can be maintained in optimum shape, and that the natural process of decay can be prevented. An adept of this path will practice techniques at the various levels to strengthen their ‘Qi’. It is their awareness of the subtle breath, the “breath that penetrates through every pore in the skin” that is then “guided through the bone marrow with their attention” that strengthens their energy bodies. Life force flows even through our bones, and focusing our breath here can prevent decay. A very common and major goal of most Taoists is to achieve longevity and immortality, rather than enter the regular afterlife. The twofold approach includes outer alchemy and inner alchemy. Generally speaking, outer alchemy strengthens the physical body using moving meditation and various herbal formulas. 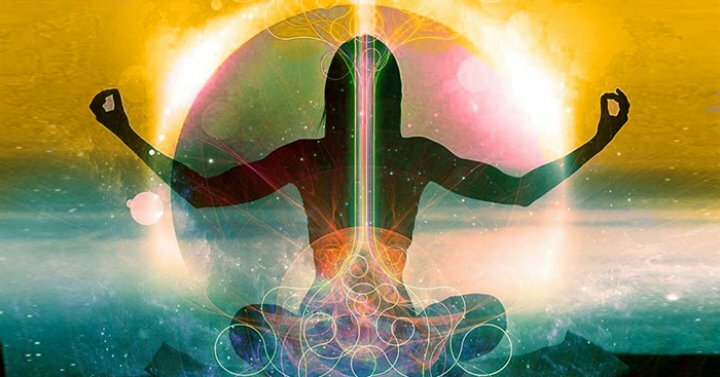 Inner alchemy strengthens the energetic body with still meditation and cultivating chi. Although different, these two approaches are usually used together to complement each other, eventually resulting in self-cultivation. In Taoism, one’s soul or energy is intertwined with the vital energy, which is what nourishes your soul. Ridding the body of impurities can increase this energy, as does leading an upright, moral and benevolent life. Internal alchemy includes sophisticated visualization, strict dieting, specific sexual exercises, and self-control. The many different types of meditation all revolved around the common idea of breathing. Much of a Taoist’s time is spent meditating. A popular rule of thumb for breathing techniques include holding one’s breath for 12 heartbeats, better known as a ‘little tour’; 420 heartbeats is the ‘grand tour’, and the most prominent achievement in breathing is holding one’s breath for 1000 heartbeats. The Buddhist meditative practice of Anapana Sati occurs at the confluence of our awareness and our breath. Through continually returning one’s attention to the breath, the practitioner is ushered towards a state of inner peace, releasing mental and physical tension. The Vipassana yogic tradition combines this awareness of subtle breath and bodily sensation with objective observation, from one moment to the next. The aforementioned Anapana meditation is to develop concentration, and Vipassana meditation to develop wisdom. Vipassana meditation involves really paying attention to whatever is happening to you in the present moment (sensations in your body, emotions, thoughts) with equanimity. Equanimity is the peace that comes from the power of observing; the ability to see, without being caught up in what we see. The Buddha described a mind filled with equanimity as ‘abundant, exalted, immeasurable, without hostility, and without ill-will’. Breath is life force, and it holds far more power than we realize. In the Pali language, native to the Indian sub-continent, the most common word translated as ‘equanimity’ is Upekkha, meaning ‘to look over’. Upekkha can also refer to the ease that comes from seeing a bigger picture. Colloquially, in India, the word was sometimes used to mean ‘to see with patience’ or ‘seeing with understanding’. By increasing both their awareness and their equanimity, the adept gain greater insight into their reality. If building an immortal energy body or holding your breath for a thousand heartbeats seem a bit ambitious, start by closing your eyes and take a deep breath…actually take ten, and you might just feel much better for it. Teacher of Nia dance & movement practice, massage therapist, artist and contributing writer for Uplift.